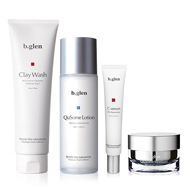 Discover your targeted treatment regimen to achieve clearer, healthier-looking skin. 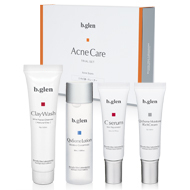 Address acne scarring and irritation with the targeted treatments in our Acne Scars Care Program. Used as a daily regimen, it focuses on removing excess impurities that can irritate skin, while soothing redness, to help complexion appear smoother, more even-toned and healthier-looking. Clay based, non-foaming wash that gently cleanses as it washes away dirt and other impurities without depleting skin of natural oils. Keeping skin hydrated locks in crucial moisture, thus reducing redness and irritation. Skin will look and feel softer and healthier-looking. Concentrated rejuvenating essence, formulated with Vitamin C. This helps seal in moisture, while addressing uneven tone and dark spots. Boosts the appearance of skin radiance and vitality. Rich cream, that locks in moisture to provide skin support. Added moisture helps skin appeared more plumped, thus reducing the appearance of acne marks and scarring. Skin appears smoother and healthier-looking. Diminish Discoloration and Uneven Skin Tone. Address acne scars until they just fade away. 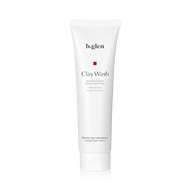 Clay-based face wash. Glides on smoothly and leaves skin feeling fresh and clean. Superior, multi-benefit lotion that delivers up to 17-hours of long-lasting moisture, for beautiful and healthy-looking skin. Vital Skin Rejuvenator That Instantly Targets Skin Imperfections. Formulated with concentrated, yet gentle Vitamin C to help even tone and boost firming-looking skin. 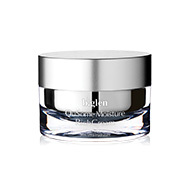 Rich cream that fights the signs of aging. The Concept of ​​"Penetration Depth"
Copyright © 2000-2019 Beverly Glen Laboratories, Inc. All rights reserved.